A new method and tool for processing a large number of small fastener holes in high-strength Al alloy structures through cold plastic deformation have been developed in order to decrease labor and operational time by following the high fatigue resistance requirement. The deforming portion of the tool has been specifically profiled in cross section so that the contact with the hole surface is disrupted. The diameter of the circumference around the deforming portion is greater than the diameter of a preliminary drilled and reamed hole. The tool and hole have a common axis around which the tool is rotating and, at the same time, moving along the same axis while passing through the hole. Thus, this method produces three main beneficial effects: hole cold expansion, surface plastic deformation (mixed burnishing) and microstructure modification (friction stir and torsion). These three effects have been studied and proven through an experiment and 3D FEM simulations. An integral evaluation of the proposed method and tool has been made through fatigue tests of cyclic tension. The obtained S–N curves prove that the fatigue life increases significantly in comparison with the case of only drilled and reamed holes. Based on the conducted studies, a super-combined tool that consequently performs drilling, reaming and cold plastic deformation has been designed and manufactured. This tool significantly increases the productivity of processing a large number of fastener holes in aluminum structures. 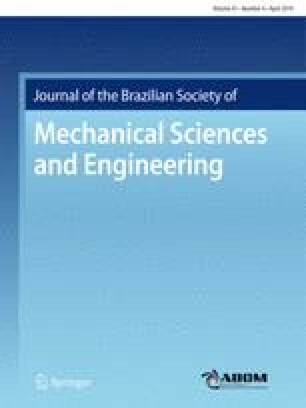 Technical Editor: Márcio Bacci da Silva, Ph.D. This work was supported by the Bulgarian Ministry of Education and Science and the Technical University of Gabrovo under Contract No. 1801M. The authors extend their special acknowledgements to Dr Yosiph Mitev and Dr Dobri Petkov for his collaboration with the experiments.